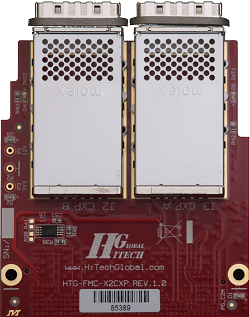 The HTG-S510 series are powered by Altera Stratix V GXAx FPGA devices with different densities and resources in KF40-F1517 package. 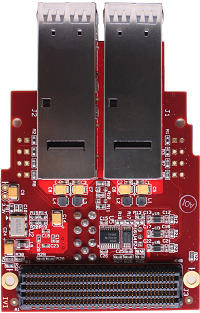 Designed for high performance networking applications (i.e configurable/customizable 40Gbps NIC, 40Gbps network analyzer, etc. 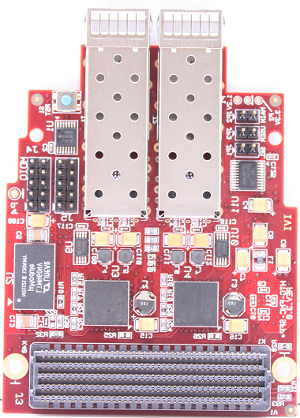 ), these platforms provide access to two QSFP+ (40Gbps each) IEEE802.3ba compliant Ethernet ports, two SFP+ (10Gbps each) ports, 8-lane PCI Express Gen 3 (64Gbps), one high-speed mezzanine connector (FMC), two additional board-to-board connectors, two DDR3 SO-DIMMs (up to 8GB), and three independent QDRII memory components (144Mb each). 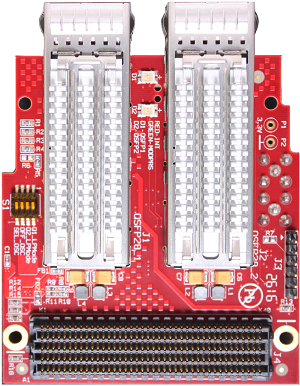 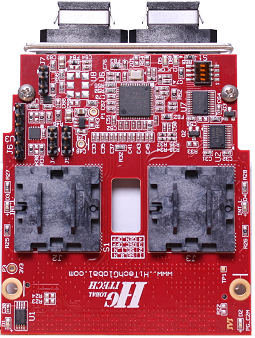 Functionality of the HTG-S510 platforms are extended by one Vita57 compliant FMC (FPGA Mezzanine Connector) port providing access to 8 additional Serial Transceivers. 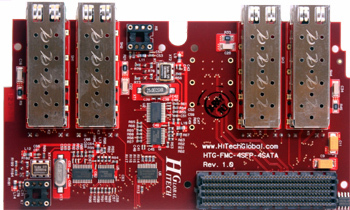 HiTech Global offers wide range of FMC modules supporting these platforms for debugging, serial/parallel port expansion, etc. 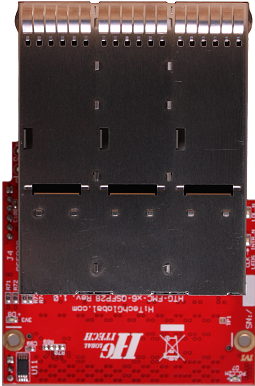 In addition, number of these platforms can be connected together in series through the FMC ports in either PCI Express or Stand-Alone mode. 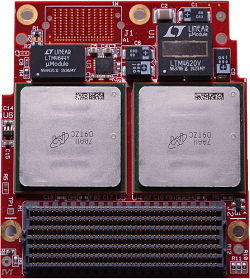 Supported by 10G / 40G Ethernet, PCI Express Gen3, DDR3, and QDR-II reference designs along with PCI Express Linux/Windows drivers, the HTG-S510 minimizes engineering efforts for complex design integration and verification. 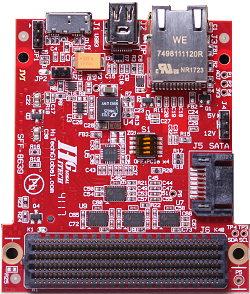 The Extensible Framework (EFW) provides a verified set of productivity solutions, including module targeted physical interface components, device drivers and APIs for the HTG-S510 platform. 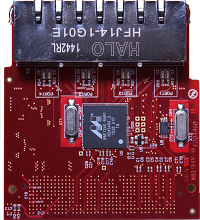 The EFW eliminates the tedious and time consuming phase of module bring-up by providing module targeted and hardware verified physical interfaces for the HTG-S510. 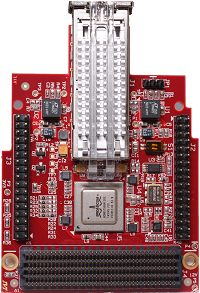 Additionally, the framework allows the user to simulate, integrate and test Ethernet and DMA cores (licensed separately) with the cost-free time limited synthesizable binaries and simulation libraries. 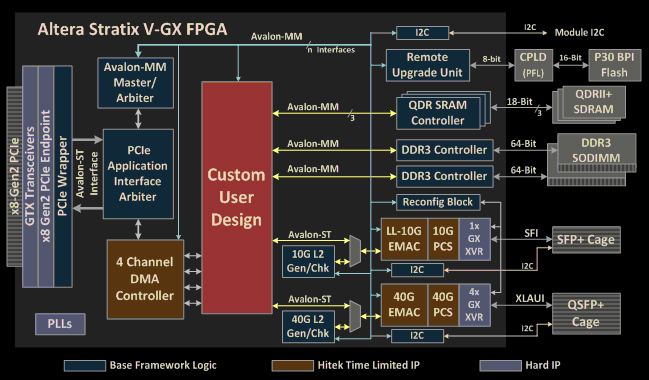 Following figure shows the elements and interfaces of the S5-PCIe framework. 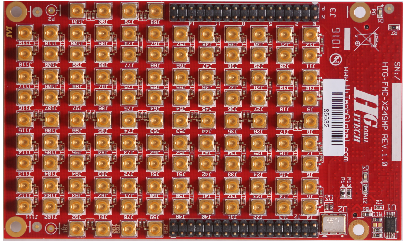 EFW implements the capability to program and erase the P30 parallel flash memory on the HTG-S510 through the PCIe interface at very high speeds. 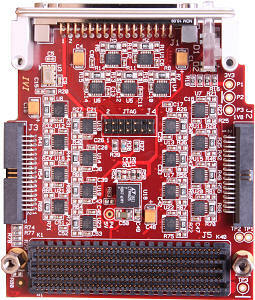 Integrating the remote upgrade unit allows any user design to be field upgradeable through PCIe. 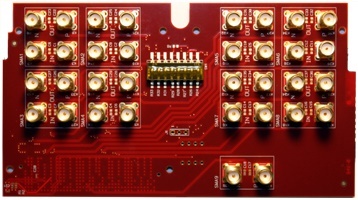 It can also eliminate the need for the USB platform cable during the design and development phase. 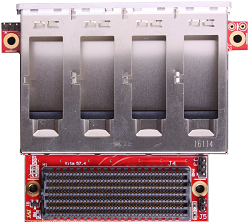 The base framework also provides the targeted (Quartus generated) wrapper for the 1333Mbps (667MHz) DDR3 and 350MHz QDRII+ controllers. 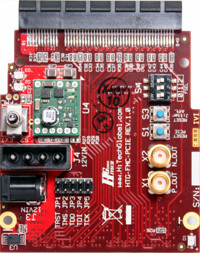 Memory mapped I2C controllers are also integrated in the EFW to control and configure the PHYs and clock elements on HTG-S5-PCIE module. 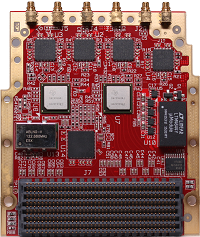 EFW also serves as the evaluation platform for the 10G low-latency and 40G Ethernet IP solutions. 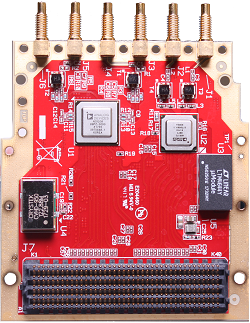 It allows the user to test the 10G and 40G Ethernet interface capabilities of the HTG-S510 without any code development. 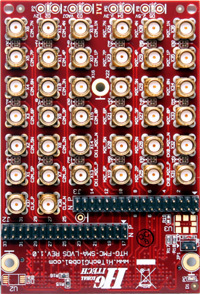 User can then extend the Ethernet interfaces to user specific designs through the Altera’s Avalon-ST streaming interface. 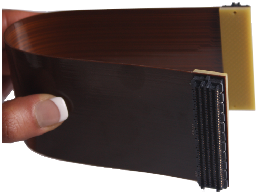 Full simulation libraries included in the EFW enables the user to simulate and test the Ethernet interfaces before licensing the solutions. 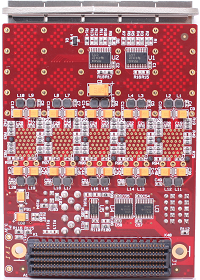 EFW’s integrated (time limited) 4-channel 128-bit data path (@ 250MHz) block DMA controller along with the PCIe device drivers allows the user to implement and verify high speed data and packet applications on the HTG-S5-PCIE module.